The secret ingredient is right there in the picture, can you see it? Yes, that is the beloved veggie, zucchini behind that cookie. I wanted to create something that I could eat with out being forced to hide from the kids in the morning, while still getting my cookie fix. Yup, I love cookies and if they are sitting on the counter while I’m enjoying that morning cup of joe then admittedly I have no self control. I definitely don’t want my kids to start their morning off that way, thus you find me cupping my hand crouched down in the kitchen just below counter height so my mouth is not visible. Yet I can still see where everyone is so that I’m not to be caught by little feet sneaking up behind me. So, that got me thinking. Why don’t I create a cookie that I can share and indulge in any time? These Secret Ingredient Healthy Breakfast cookies do just that. 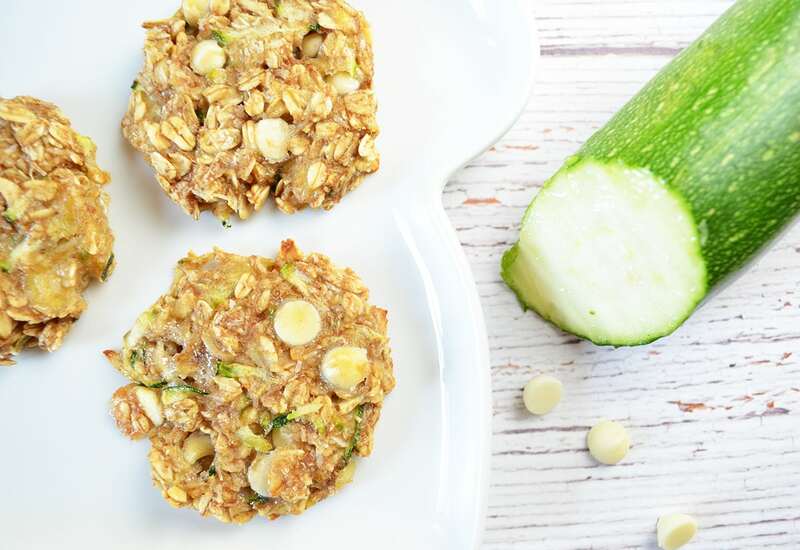 Chewy, slightly sweet, flavorful and loaded with healthy zucchini, I mean you have to give this breakfast cookie a try. I’ve used both coconut milk and whole milk in this recipe before, both pair wonderfully. In my house there are too many nut allergies so I do not add chopped nuts to ours, but it would be a wonderful pairing to this already delicious cookie. These can be refrigerated for up to three days or like myself, freeze a batch and defrost a couple cookies in the morning. This healthy cookie freezes great and makes life so much simpler for the times I’m in need of a quick healthy breakfast or snack. Always having these available to enjoy helps crave my sweet tooth and stop me from over indulging at the wrong times. This Breakfast Cookie is a delicious, quick and healthy breakfast that can satisfy your indulgence side minus your typical after cookie guilt.